By developing sustainable business models, it is more profitable for the local communities to harvest the indigenous fruits rather than to cut down the forest. 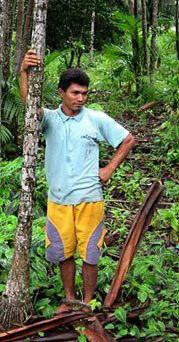 As a large exporter of Açaí in the world, Makai Fruits presents a viable economic reason not to destroy the rainforest. With the current rate of deforestation being the equivalent of an area the size of a football field every single minute, Makai Fruits will try and do our part in saving a piece of the RainForest. As a large supplier of high quality Açai and other exotic fruits, Makai Fruits is developing rainforest alliances and carbon credit programs for the company and its customers.